Ralph James will occasionally be golfing with someone he’s just met, not one of his longtime partners. They’ll play a few holes, with James smacking his 240-yard drives down the center of the fairway, with his chipping and putting games little short of superb. Before long, the newcomer will have seen enough. “Exactly how old are you?” the individual will ask. James laughs as he shares the story. For the record, he’s 82. Playing partners will sometimes jokingly demand to see his driver’s license as proof of such. It’s an accomplishment that James, a resident of Bermuda Village Retirement Center in Bermuda Run, has accomplished more than 100 times. His handicap is a mere 7.6. James and his wife, Mary Lou, are both natives of Asheville. James got his bachelor’s degree at Wake Forest in 1958. He was a member of the college’s ACC-winning golf teams in 1957 and 1958. James majored in English at Wake Forest, then earned graduate and doctoral degrees at Drew University in Madison, N.J. Those were followed by a divinity degree at Emory University in Atlanta. James taught philosophy and religion for nine years at N.C. Wesleyan College in Rocky Mount, but spent most of his career working in management consulting. He’s been retired since he was 65. Golf has been the one constant throughout James’ life. James’ home course is Bermuda Run Country Club. 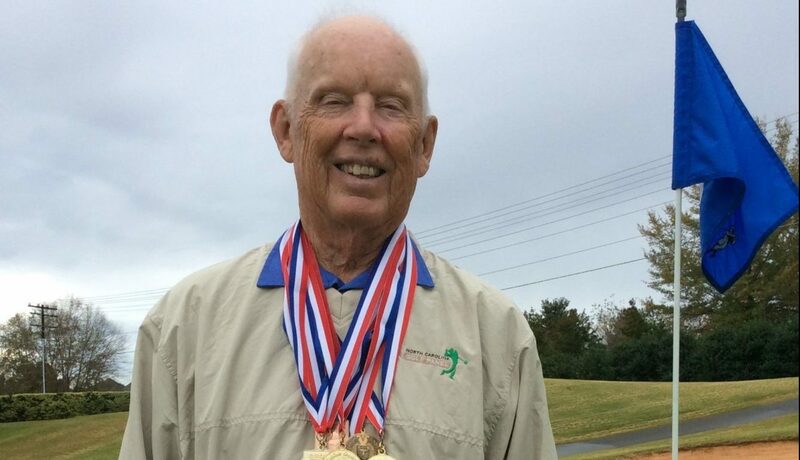 He’s a seven-time N.C. Senior Games gold medalist, last accomplishing the feat in 2017. He’s won the National Senior Games twice, was runner-up once, and has already qualified for the 2018 National Senior Games to be played in Albuquerque, N.M., next June. 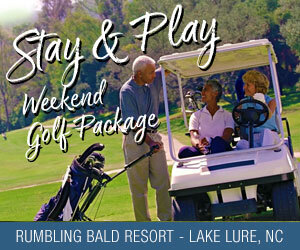 In late November, James and his playing partner, Frank Boone, will be competing in the Carolinas Golf Association’s Senior 4 Ball 70-and-over Tournament of Champions at Barefoot Landing Resort & Golf in Myrtle Beach. They’ll be trying to recapture a title they won in 2015. One of those is Greg Dunn who heads the Oak Valley Men’s Golf Association at Oak Valley Golf Club in Advance. James is one of the regulars there. “I told him that when I grow up, I want to be like him,” Dunn says. He says on average, members of the Men’s Golf Association gather at Oak Valley to play twice a week, and everyone enjoys being paired with James. James’ son, Randall, says when he was growing up, his father traveled quite a bit and didn’t get to play as much golf as he might have liked. But when he returned home, it was like he’d been playing every day. Randall James says his father remains a source of inspiration for other golfers. “Everybody can’t believe a guy his age hits the ball the way he does,” he says.